There is no accepted clinical imaging modality for concussion, and current imaging modalities including fMRI, DTI, and PET are expensive and inaccessible to most clinics/patients. Functional near-infrared spectroscopy (fNIRS) is a non-invasive, portable, and low-cost imaging modality that can measure brain activity. 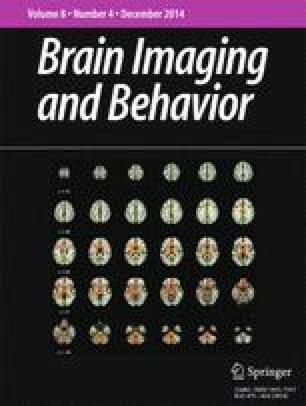 The purpose of this study was to compare brain activity as measured by fNIRS in concussed and age-matched controls during the performance of cognitive tasks from a computerized neurocognitive test battery. Participants included nine currently symptomatic patients aged 18–45 years with a recent (15–45 days) sport-related concussion and five age-matched healthy controls. The participants completed a computerized neurocognitive test battery while wearing the fNIRS unit. Our results demonstrated reduced brain activation in the concussed subject group during word memory, (spatial) design memory, digit-symbol substitution (symbol match), and working memory (X’s and O’s) tasks. Behavioral performance (percent-correct and reaction time respectively) was lower for concussed participants on the word memory, design memory, and symbol match tasks than controls. The results of this preliminary study suggest that fNIRS could be a useful, portable assessment tool to assess reduced brain activation and augment current approaches to assessment and management of patients following concussion. Funding for this study was provided by the University of Pittsburgh Department of Radiology.